In my last post, I talked about the ways in which teachers can better engage students in active reading of the textbook in their classrom – those during reading strategies that promote interaction between student and text, and help to build habits of thinking and problem solving as part of reaching for comprehension. In this final post of the series, I’ll address the elephant in the room – despite all we do to teach them how, and all we do to engage them actively, how do you make sure adolescents will do the reading assignments you give. Its a question of public acountability and interest. The bottom line: You must do something with what they have read after they read it, something that engages them actively, and causes them to use the results of their mid-reading strategies – like their double entry notes, their text coding, their personal reading questions (see Part III for more information on these strategies). Lets follow the story line – First, you teach them how to navigate the textbook, then you give them specific strategies and activities they must do during reading. The first time you give an independent reading assignment, the next activity is a public and student-centered activity that requires them to use what they’ve read and the tools they used during reading. And, you will find students who have not read. Put them in small groups to share and discuss their reading and notes in a structured setting. Use the results of their reading as the premise of the next lesson, instead of providing notes or direct lecture on the same topic as the text assignment. 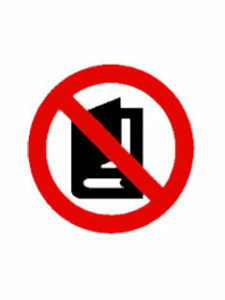 Those students who chose not to read are not put at risk, they will experience the content – in a public way that demonstrates they failed to complete their work. reason, they want the benefit of the credit – no one actually wants to fail. For another, their peers will soon tire of doing their learning for them, and peer pressure to comply for the sake of all will win out. Conversely, if you don’t intend to follow up in structured, extended, and public ways on the reading assignments you give students – don’t ask them to read. This entry was posted in Blog and tagged reading, students, teaching, textbooks. Bookmark the permalink.